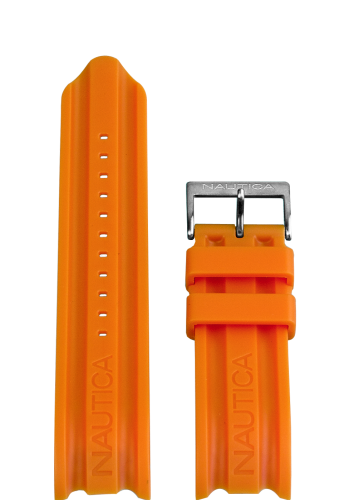 Nautica watch strap A17586G / A15565G / A43005G Rubber Orange - Order now from World of Watch Straps! 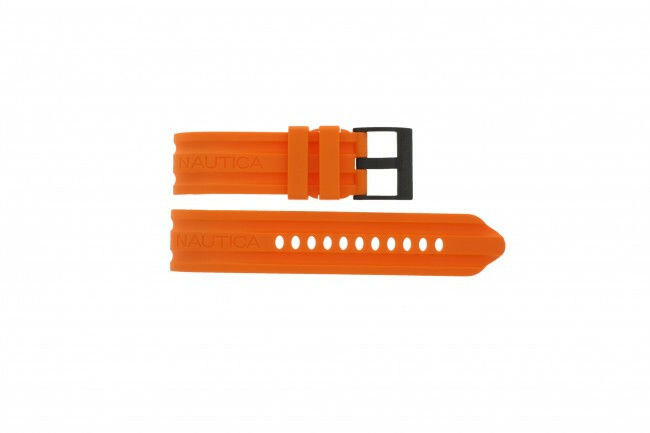 This original and authentic watch band from Nautica, model A17586G is made of high quality rubber. This watch band will be attached to the watch case by pushpin fixation / pushpins. Do you have any further questions regarding this Nautica watch band or do you need some other information about this watch band? Please do not hesitate to contact us. 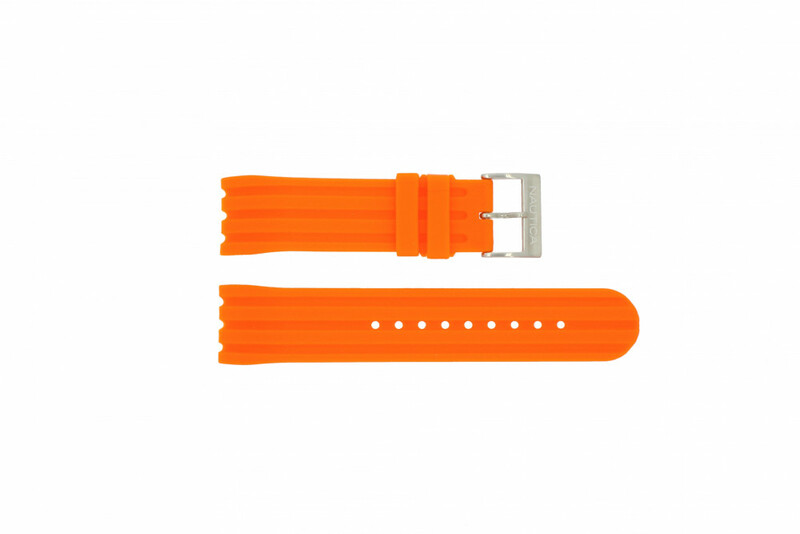 Are you not quite sure if this watch band will fit on your current watch? Please contact us so that we can do a quick check for you!